As Christmas season draws to a close, and as 2011 nears its inexorable end, I leave you with this wish and prayer…. No matter how down things look right now, never stop looking up, at the bright skies and gifts of God’s blessings just waiting to be placed at your feet. Remember me in your prayers too, my dear friends. Merry Christmas, and a Happy New Year to you, your families and loved ones. 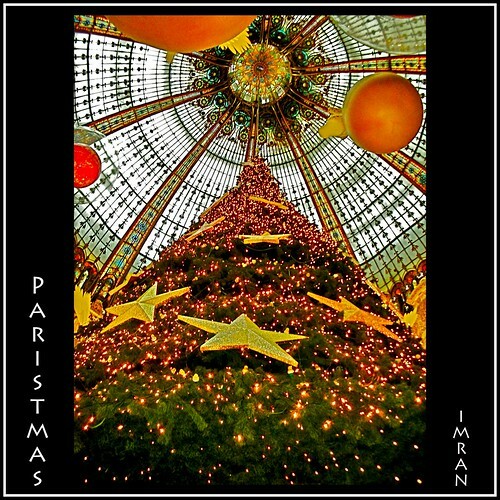 Paristmas! 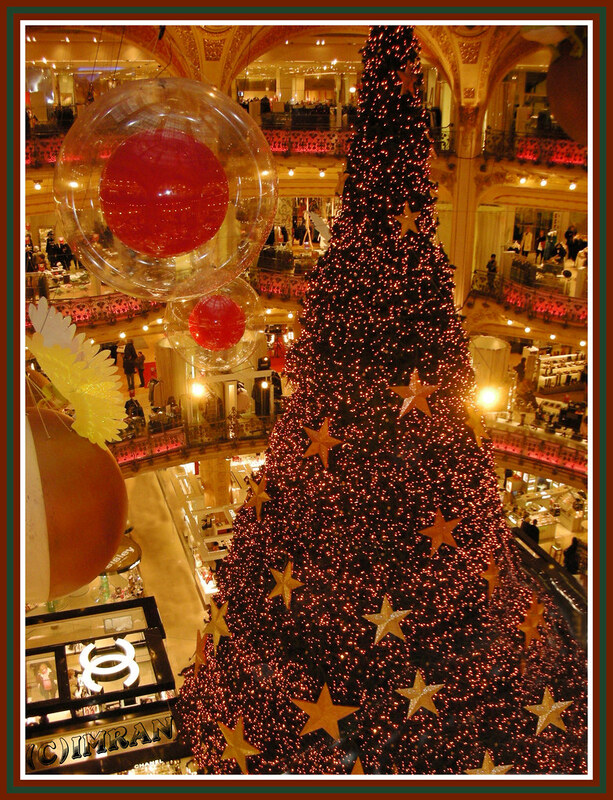 Paris Christmas & Happy New Year! – IMRAN™, a photo by ImranAnwar on Flickr. Paris is one of my favorite places to visit. And, like my other favorite city, Manhattan, New York, which is amazing to visit at Christmas, France’s capital city is a spectacular experience at holiday season time. My first visit to the United States, New York, was in 1987 around Christmas time, the same year I had spent my birthday Summer 1987 in Paris, among other cities of Europe. So, it was great to return there, nearly 20 years later, but merge my NY Christmas and Paris Summer experiences with a magnificent, MY PARISTMAS… MerrY Paris Christmas. This photo, taken at the world famous Galeries Lafayette in Paris, is one of the most unusual I have taken. I almost lay down at the base of the Christmas tree, to capture the full height of the massive tree, and the stunning ceiling of the building. The golden decorations, balls and balloons created a unique view. I had to do that with my pocket Nikon S6, while trying not to be accidentally thought of as a foreign born Muslim troublemaker trying to topple the tree! 🙂 I look forward to returning to Paris in the near future, God Willing. Though I am a Muslim born in Pakistan, December 25, Christmas Day was always a special day. It is a national holiday in Pakistan (birth date of Muhammad Ali Jinnah, founder of the nation). Since I went to missionary schools for a great education in Pakistan, they also celebrated it as a Christmas break. And, on a more personal note, it was also the birthday of my beloved late Mother. For Christmas and this holiday season, I think this is a perfect picture to wish all my friends lots of joys and treats having a ball under (or over) the towering tree(s) of gifts, love and happiness.